Behind any great app is a superior business model. If you’re confident you’ve got the next hottest app idea, and plan to generate a profit, there are a variety of different monetization strategies one could use to turn downloads into dollars. In-app purchases and “freemium” models are great for getting users in the door initially. Paid apps are a challenge to market, in our experience, and are usually quite costly to advertise for — however the ones that do succeed tend to be very profitable. The latest tactic for monetizing mobile apps that has seemed to really stick over the past few years has been the subscription model. With app subscriptions, you can create sustainable, ongoing revenue. Average revenue per user (ARPU) is a critical metric for app monetization. ARPU is the amount of money your average app user spends on your app within a given timeframe. To determine this number, you’d divide the total amount of revenue your app generated for the month by the number of users who were active that month. One of the best reasons to consider a subscription model is that apps that offer subscriptions see a far higher amount of revenue per user than apps that don’t. According to studies, apps that use subscriptions as their revenue model earn 2-3 times more money per user than apps that rely on advertising or paid downloads. They also earn 50% more money per user compared to apps that offer in-app purchases. Increasing your ARPU is the fastest way to increase your overall profits – and it’s actually more effective at boosting profits than both cutting sales expenses and increasing the number of downloads. Clearly, when it comes to app monetization, subscription models have a leg-up over other options. It’s great to have an app that makes money, but how do we hold onto our users? Your app launches and is a smash hit, but when the novelty wears off, users find something else to spend their money on, and they abandon the app. Using the paid-app model can work for making a burst of income right out of the gate, but this typically proves the app is but a one-hit-wonder, which leaves you uninterested and eager to move onto your next business venture. With a subscription model, you can rely on a stable audience of users who love your app and gladly pay you each month to use it. You’ll have a very engaged, loyal user base that wants to use your app on a regular basis. In comparison to just paying a one-time fee to use the app, if the user is paying monthly, they’ll feel obligated to use it every month in order to feel like they’ve got their money’s worth. If you’re planning to earn money from your app, you’ll want to ensure that you get paid regularly – it’ll help keep your bank account well stocked, pay your expenses in a timely manner, and build your nest egg to get through those difficult times. A subscription-based mobile app will generate a set amount of revenue per user for you every month, and the more users you get, the more your cash flow will grow. When you know that you have a reliable source of income every month, you’ll find that it’s easier to make strategic plans and allocate resources to projects. Much like magazines that give you a 20% discount if you subscribe for 3 years, mobile apps that offer discounts for 6 months to 1 year of use often perform better. Why? It’s simple: People like saving money. For the business, it means a big increase in customer lifetime value and a more predictable income. Plus, users love having a choice. People believe having more choices means having more freedom, and offering multiple models in your subscription base can boost conversions. Having just a single flat rate deprives the user of choice and is likely to make them turn away. Businesses in every industry are starting to recognize the value of subscription models, from subscription food delivery services to shaving supplies, coffee, wearables, and more. Even savvy developers are now seeing the value in the subscription model and staying ahead of the curve by offering subscription-based apps. From consumer apps to enterprise apps, subscriptions are starting to make more and more sense as a viable revenue source. Uber matches passengers requesting rides with drivers based on the GPS location of the passenger’s phone. One feature that makes Uber different from many other ride share apps is that there are levels, so users can request everyday cars, taxis, SUVs, and black cars of increasing luxury. -Ranking at America’s 48th most powerful company, Uber is estimated to be worth $62.5B, and is available in 58 countries and 300 cities worldwide. Lyft lets users request a ride with drivers based on the GPS location of their phone. Every driver needs to pass a DMV check and background check before he can get started. At the end of the ride, the app prompts the passenger to pay with stored credit card information or Paypal. 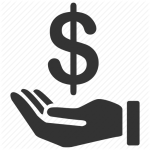 Some cities operate on a donation basis rather than a set charge, so a better driver might earn a little more. -Lyft operates in over 65 U.S. cities, and has raised more than a $1 billion from investors as of this year. Founded in Dallas, Tx, and now recently expanded to Austin, GetMe Drivers or, “Go-Getters”, are available to deliver goods or people. The app’s focus is to blend the transportation and delivery offerings from the start rather than transitioning and integrating them over time as competitors have done. -Get Me is the first app to offer both deliveries and rides upon launch. One of Austin’s most high-profile gig economy startups is Favor, an on-demand grocery and restaurant delivery service. The company passed the milestone of one million deliveries in November, and launched in three more Texas in early December, bringing its market count to 18. -Favor raised $13 million from investors in 2015, and plans on using the funds to improve customer service, and expand to other cities across the U.S.
Postmates is another on-demand delivery service, however they don’t just deliver food; Postmates will pick up anything you need from any store in your area, and unlike other delivery apps, they offer referral discounts! 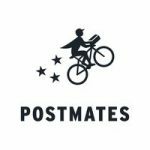 -In 2015, Postmates surpassed 2.5 million deliveries across 28 markets and expanded its fleet to 13,000 couriers. Very recently, Amazon rolled out food delivery in Austin from more than 60 restaurants for Prime members. Combine that offering with the same-day shipping on a massive selection of other items through Amazon Now, and you’ll never have to leave your home! They even offer alcohol delivery for those 21 and over. 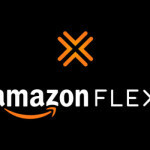 -Amazon Flex made its big debut in late 2015 and plans to give Uber and other delivery services a run for their money. The HomeAway app has all the tools you need, whether you’re a traveler, owner, or property manager. Travelers can browse more than 1 million vacation rental property listings all over the world. Find the perfect getaway—not just houses, but condos, bungalows, castles, and more! -Homeaway also launced the first in-app total concierge service for Apple TV; allowing users to browse properties from the comfort of their home, or discover critical information on how to use the property they are currently renting. Airbnb opens the door to the world’s most interesting places to stay and is the simplest way to earn money from your extra space. Message hosts and guests, gush over your itinerary, explore fairytale destinations, and add unforgettable digs to your Wish List. Make that penthouse, yurt, or treehouse your next home…or open up your own space to travelers. -Airbnb boasts over 1,500,000 listings in 34,000 cities and 190 countries. Users can find hosts anywhere in the world and stay with locals instead of hotels or hostels. With Couchsurfing, users can document their trip by uploading photos to their profile, and even meet other travelers and locals at Couchsurfing events! – Couchsurfing’s community is made up of over 10 million travel enthusiasts in 200,000 cities. DogVacay connects dog owners with its community of over 20,000 five-star-rated dog sitters across the U.S. and Canada. Users can search for thousands of local sitters available to watch the dog in either their home or the traveler’s. All reservations include premium pet insurance, 24/7 customer support, and daily photo or video updates, so you can travel or drop your furry friends off for daycare with peace of mind. – The company has been the subject of national news features in the LA Times, Forbes Magazine, USA Today, and on NBC News. The Swifto Dog Walker App is a unique dog walking service in New York City that offers a seamless connection between excellent dog walkers and state of the art technology. Swifto’s dog walkers use the app to view their schedules and broadcast their GPS-tracked walks live to their clients. Swifto only hires dog walkers who have years of walking experience, a college education, and a deep love for dogs. – The company raised over $2.5 million, taking the app out of the startup range and into the big leagues. Wag is a community of neighborhood certified dog lovers who have signed up to walk your dog. All of Wag’s walkers are rigorously screened/vetted, Wag! certified, insured and bonded. Unlike other services, users can choose their own walker, use the app to browse the profiles of all the walkers in your area, which include videos, reviews from other clients, bio, and certifications. Walkers can be booked on a recurring basis or on-demand as needed. Dog owners have full control of their furry friend’s walk schedule. – Wag! Raised $2.4 million earlier this year to branch out of the L.A. area, and is quickly becoming a household name with media mentions in Town and Country Magazine, New York Times, Techcrunch and more. zTailors is an app featuring on-demand tailors who can zip over to your home or office and tweak ill-fitting garments. Customers use the website or app to request a house call from a tailor with at least five years of experience. After a complimentary fitting, altered clothes will be returned within a week. – Founded by Men’s Warehouse owner George Zimmer, expect big things from this app in the coming year. Zeel delivers top-quality massage from vetted, licensed therapists to your home, hotel or office in as little as an hour from the time you book. Choose your favorite massage treatment: relaxing Swedish massage, invigorating deep tissue massage, restorative sports massage, healthy prenatal massage or a cozy couples massage. Zeel will connect you with a massage therapist expert in your preferred technique. -Zeel operates 365 days a year and currently operates in over 6 major metropolitan areas. 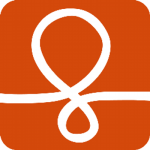 Washio, the nation’s leading dry cleaning and laundry delivery app. With 24-hour turnaround times, early morning and late night availability and service 7 days a week, Washio provides the ultimate convenience in dry cleaning and laundry. – Washio came out strong in 2015 with features in Techcrunch, BusinessInsider.com, CNBC, Buzzfeed and more. Peer-to-peer service apps are clearly the future of our economy, and with their rapid growth and launching of new ideas and services, there’s no signs of this trend fading anytime soon.